The Postlip Estate is at the end of a three-quarter-mile drive in a valley off the B4632, the road between Cheltenham and Winchcombe in Gloucestershire. There has been a house here since before the Norman Conquest. The Chapel, built about 1145, is the oldest of the present buildings. A Grade 1 listed medieval Hall House, probably dating from the fifteenth century, is hiding inside the NE corner of the Hall. Giles Broadway, entrepreneur and chancer, built the much grander Jacobean frontage in 1614. The rest of the house was added gradually thereafter around a central courtyard. Postlip Housing Association divided it into eight separate units between 1970 and 1985. 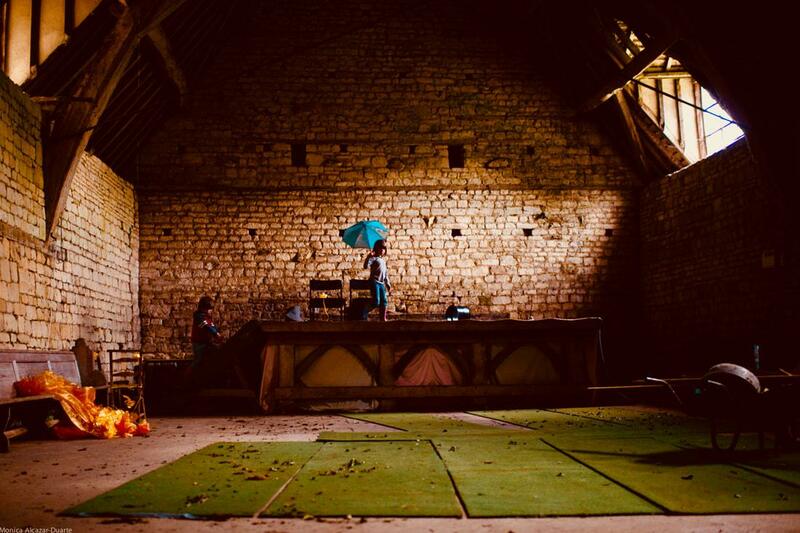 The Grade II* listed Tithe Barn's origins are a bit of a mystery, as no documents have survived. It might be as old as the 12C Chapel or could have been built at any point between 1140 and about 1400. 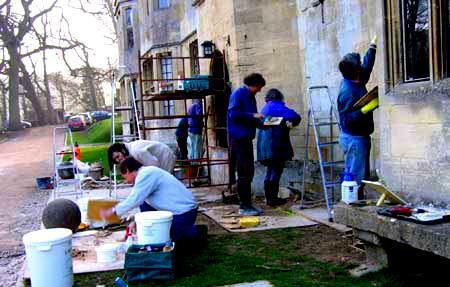 We maintain the Hall, the barn, a mile or so of roads, several miles of drystone walling, a private water supply, a sewage treatment plant, a stream, ponds, and around twelve acres of woods and parkland so there’s always plenty to do. The buildings are in good order but need care. Some of us have specialised maintenance skills and everybody pitches in. When we don't have the skills or can't learn them, we get skilled outsiders to help us. 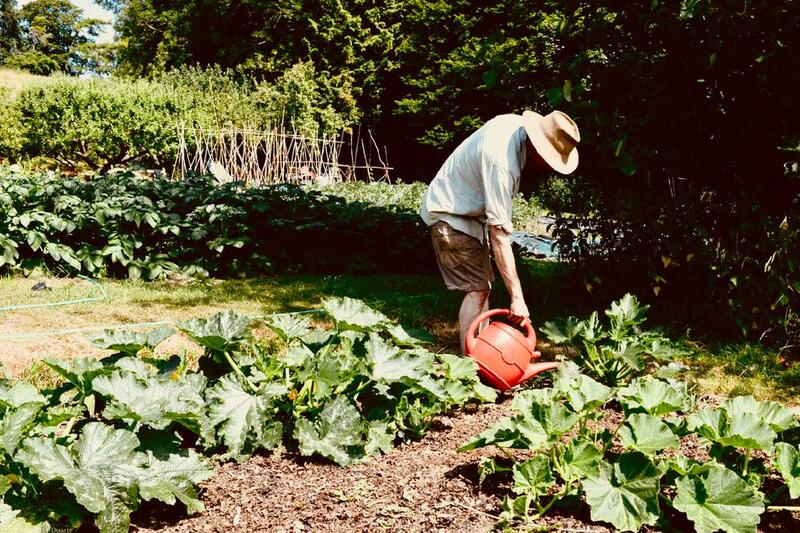 We’ve been organic growers since 1971 and most of us put a lot of time into the two acres of kitchen garden. We have a working weekend once a month and another monthly working Saturday. 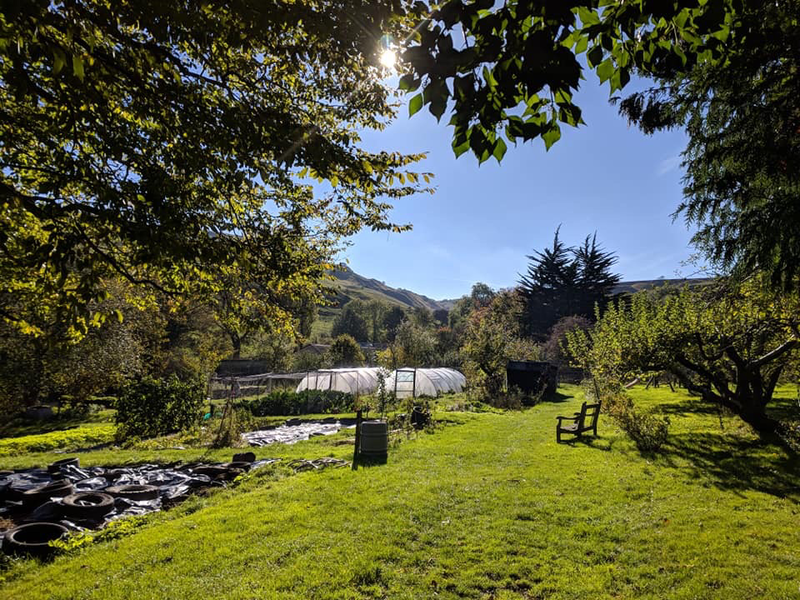 These days bring us together as a group, help us to keep on top of the kitchen garden and the various estate jobs, and we’re sometimes helped by visiting WWOOFers. We also have chickens, sheep, pigs and bees, and over the years have enjoyed caring for goats and other animals.